Home / Entertainment / Bobby Brown: Pusha-T album cover "In really bad taste"
Bobby Brown: Pusha-T album cover "In really bad taste"
Bobby Brown named the cover of Pusha-Ts's new album Daytona showing Whitney Houston's drugged bathroom clock "in a really bad taste" during an interview with Rolling Stone Am Wednesday. The former singer and solo star of New Edition was married to Houston from 1992 to 2007. He said he was busy completing work on a two-part biopic The Bobby Brown Story saw the Daytona cover. After learning that this was a picture of Houston's bathroom, reportedly licensed by Kanye West for $ 85,000, Brown wondered, "Why would he post it on his album cover?" "That's really disgusting that he would do that," Brown added. Something was to happen to Kanye. He is crazy already. I knew that when I met him for the first time. Now he pushes the bar a bit. He needs someone to beat him or something. And I'm just the person who does it. In an interview recently conducted with Angie Martinez, Pusha-T said that the Daytona cover would originally be a different image, but West, the executive producer of the album, made a late decision on the artwork West also agreed to cover the $ 85,000 license fee for the photo, Pusha-T told West, as he said, "That's what people need to see To go with this music. " 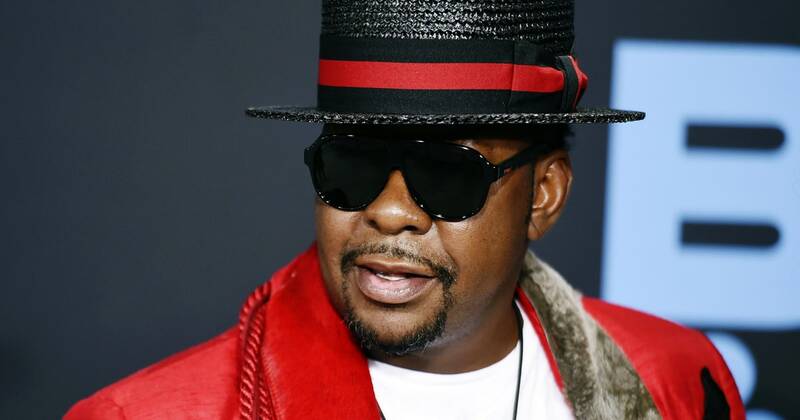 The Bobby Brown Story will be released this fall on BET, acting as a sequel to the three-part  The New Edition Story  of 2017, which according to deadline attracted 29 million viewers in its premiere week.